The Green Girl started off her weekend with the first Sole Runners session for the summer training season. 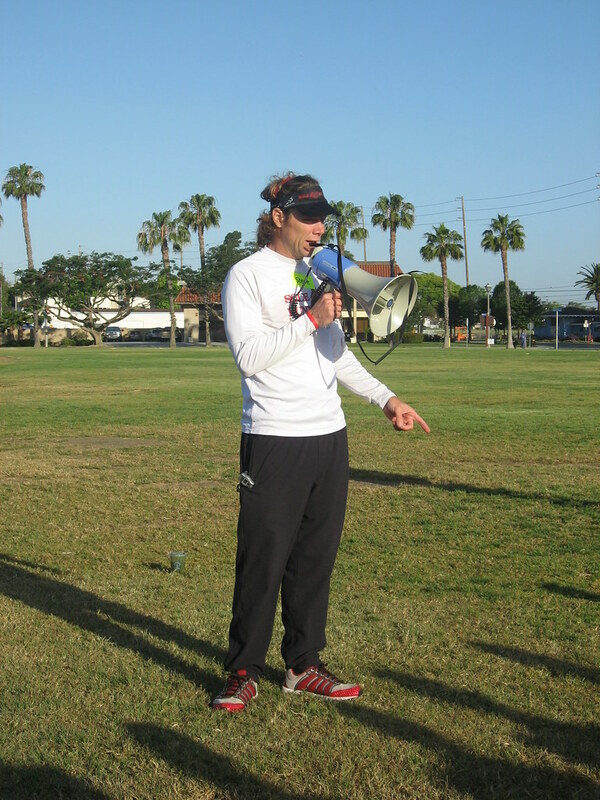 Coach Steve introduced all the Sole Runner mentors and then we did an hour long ChiRunning workshop before a short run. By the time we started our run, the weather had warmed up and the heat was getting to me. I struggled to run an entire mile and then stopped for a walk break. I ran/walked the rest of the time. I was pleased to see sweet slices of watermelon were waiting for us when we got back. 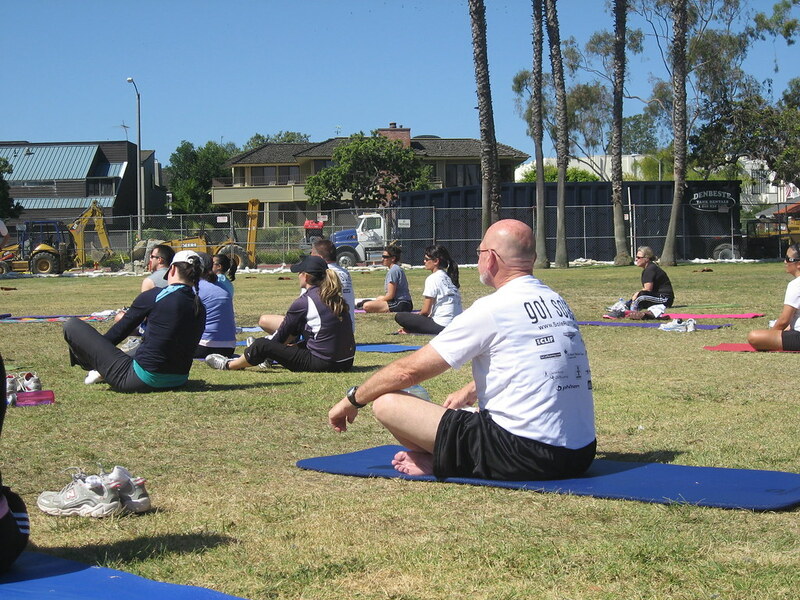 They were the perfect treat before our post-run yoga* beside the marina. Instead of heading back home after yoga, on a whim, I decided to stop by the OC Marathon expo. 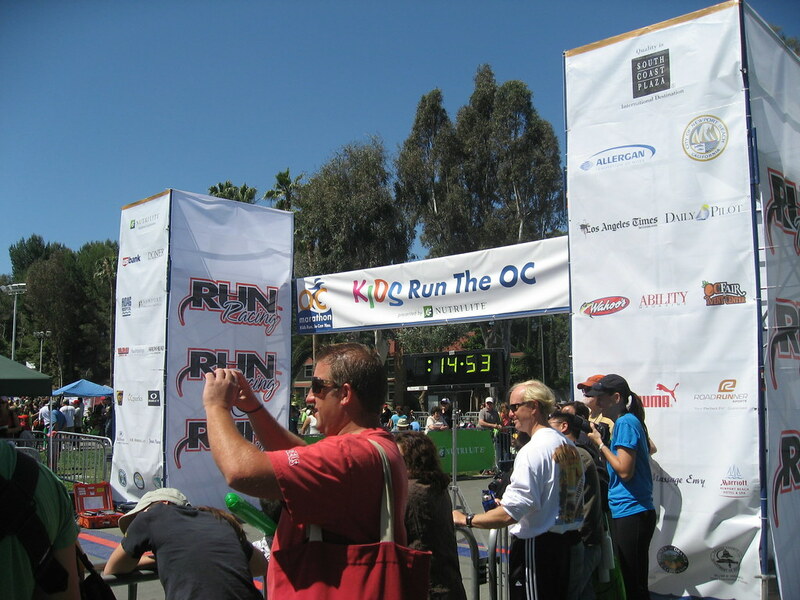 The Kids Run the OC race was going on when I arrived. I enjoyed watching the kids walk around proudly with their medals around their necks. The expo even featured a smaller kids expo. Sunday morning, my friend, Jackie, joined me for the weekly Long Beach SparkTeam walk at El Dorado Nature Center. The Nature Center was in full bloom and the floral color palette was breathtaking. All the little Nature Center critters were out enjoying the beautiful day. We saw bunnies hopping in the tall grass. Jackie spotted a hummingbird. We walked by a little squirrel eating a peanut. I love how the Nature Center trail winds around the lakes and through both meadow and forested areas. The trees are so densely populated in some areas that they block out virtually all sunlight. In a 2 mile hike around the Nature Park, you can experience chaparral, coastal sage-scrub, forest, oak woodlands, and grassland habitats. On our way out, we spotted a family of turtles relaxing in the sun. 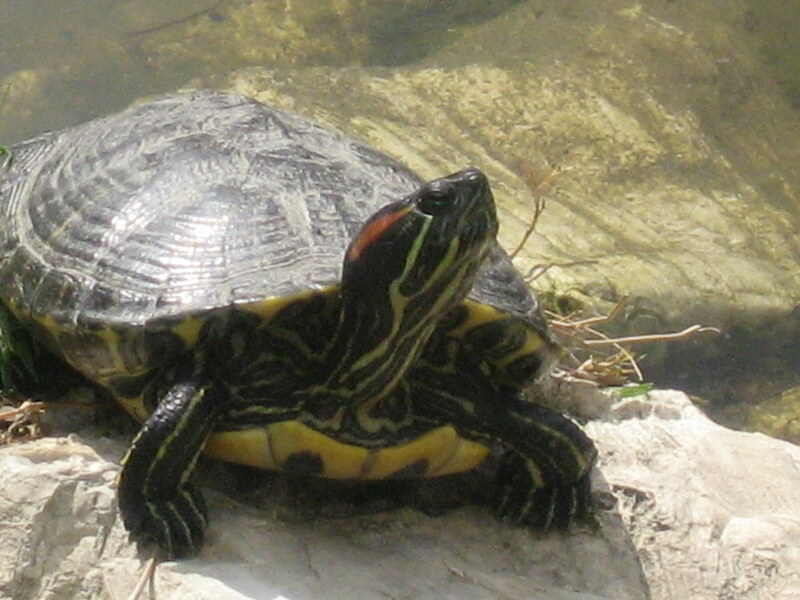 I admired the coloring on a red-eared slider. * The Green Girl was pleased to see she was still on speaking terms with yoga post-breakup. 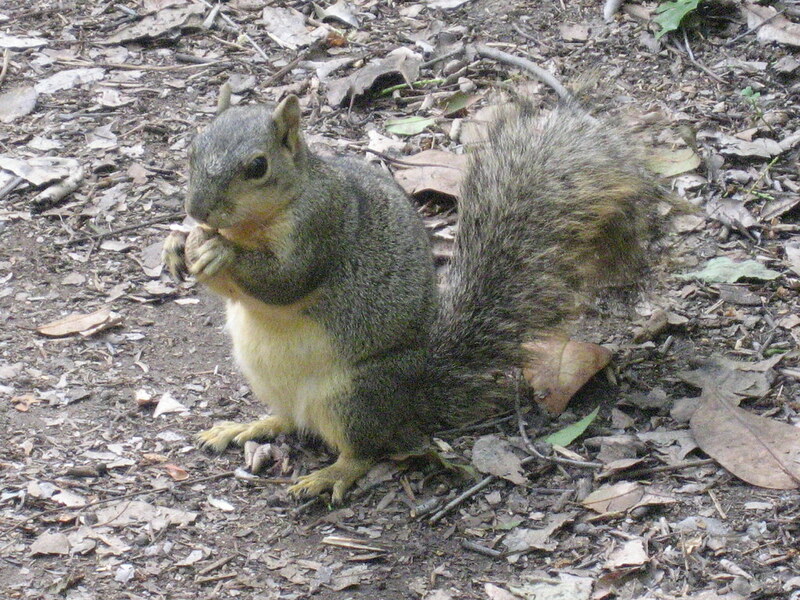 I love squirels! :) Very cute pic (not that I'd ever expect less then awesome pictures from you!) Glad you went to the OC expo! You seemed to have made out like a bandit with a great weekend! Haven't yet given yoga a try. Between the therapy, weightlifting, and short runs I'm doing, there's barely enough time to think. Also resisting the urge to learn more about ChiRunning, as I've already got enough new stuff on my exercise plate, but I sure do see it mentioned a lot in the blog world. I'll add it to my to-learn list. Rad Runner, the little squirrel eating the peanut was adorable - you would have loved him. Yes, when things have settled down for you, I highly recommend at least checking ChiRunning out. We have quite a few long time runners in our group who had to give up running due to injuries but were able to get back in the game after discovering ChiRunning. Wow! Nice pics! I'm finding it pretty amazing how things are still green and blooming. I guess that's our reward for putting up with the wet winter/spring.